A charming town which dominates the sunny Bay of Naples. Sunny Sorrento is in the region of Campania in southwestern Italy; an area famous for its beautiful, dramatic coast, ancient Roman ruins and delicious food. The pretty town of Sorrento stands high on a cliff overlooking the Bay of Naples. 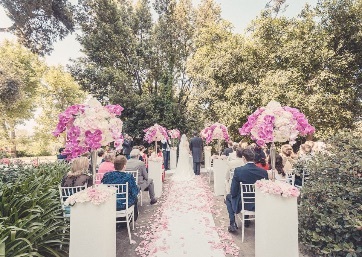 Sorrento Weddings are the epitome of joyous, lemon-scented, fun-filled events! The historic centre starts from Piazza Tasso, a wonderful place to take the "passeggiata", the evening stroll, looking out over the sea. 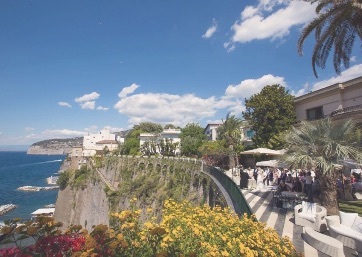 Sorrento is a very popular destination for a weddings in Italy for many reasons. It has a lovely, mild climate, which makes it a dream location for weddings even in Spring and Autumn when the area is calmer. There are many beautiful and romantic venues for wedding ceremonies and wonderful restaurants serving delicious food. 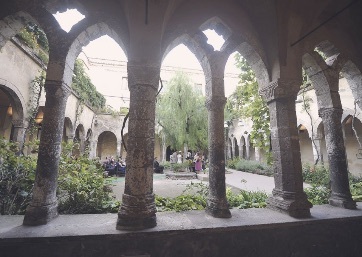 Sorrento civil weddings are popular in this region due to so many beautiful and outdoor options, such as gardens and cloisters, for those dreaming of marrying "al fresco!" 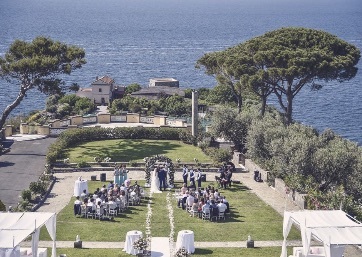 Sorrento wedding venues offer many options, from private villas, 5 star luxury hotels with large terraces and boutique locations, but one thing these luxury Italian wedding locations have in common is their soaring sea views. 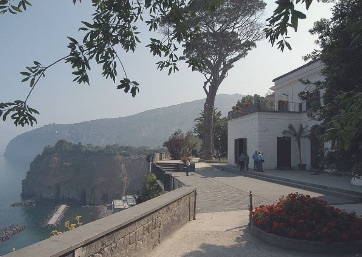 The Amalfi Drive refers to the road from Sorrento to Amalfi. The road is mainly carved out of the cliffs and is one of the most amazing coastal roads in the world to drive. Imagine riding in a vintage cabriolet down these winding roads! 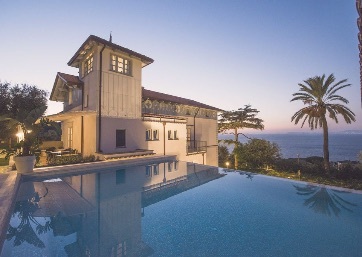 The air is scented with the sea and lemon groves. The road passes through beautiful, brightly coloured villages including Positano and Ravello. Sorrento is the gateway to the Amalfi coast. 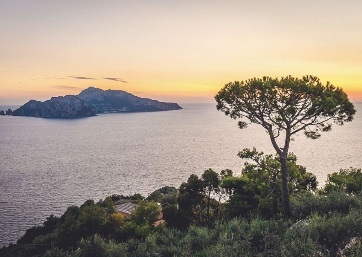 Amalfi coast weddings are a fantastic base for day trips to surrounding sights, such as Pompeii, Herculaneum and the romantic islands of glamorous Capri and Ischia. 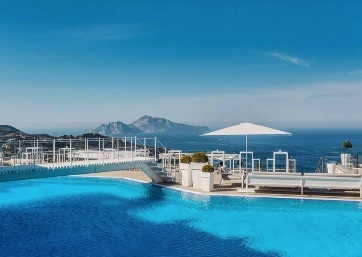 Capri is often referred to as the most romantic island in Italy, the island of love, a honeymoon in Capri is a perfect choice following a romantic wedding in Sorrento. There are many luxury palaces and villas here for a perfect wedding ceremony. There is so much history to be found in Sorrento, Mount Vesuvius can even be seen from Sorrento. In AD79 it erupted and buried the Roman towns of Pompeii and Herculaneum under volcanic ash. The ash perfectly preserved the towns and Pompeii is now a UNESCO World Heritage site. Both of these sites can be visited to witness the incredible art, customs and lives of the Romans living there at the time of the eruption and make a perfect day trip. 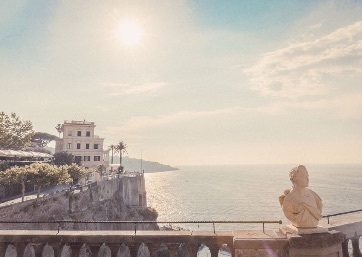 Today so many lucky couples choose to get married in Sorrento for the elegant towns, spectacular scenery and access to exciting excursions, making it the perfect area to enjoy the elegance and splendour of this part of Italy. For the most relaxing and naturally beautiful wedding day, Weddings in Sorrento are the perfect choice! 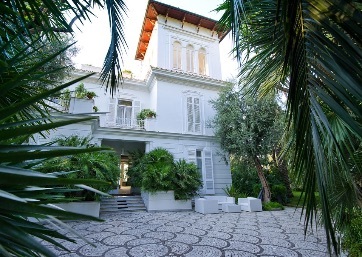 Villa surrounded by gourgeous gardens and terraces and above all a breathtaking view over the bay of Naples!